The Arizona Department of Health Services utilized All Points Media’s network of statewide grocery stores throughout Arizona. 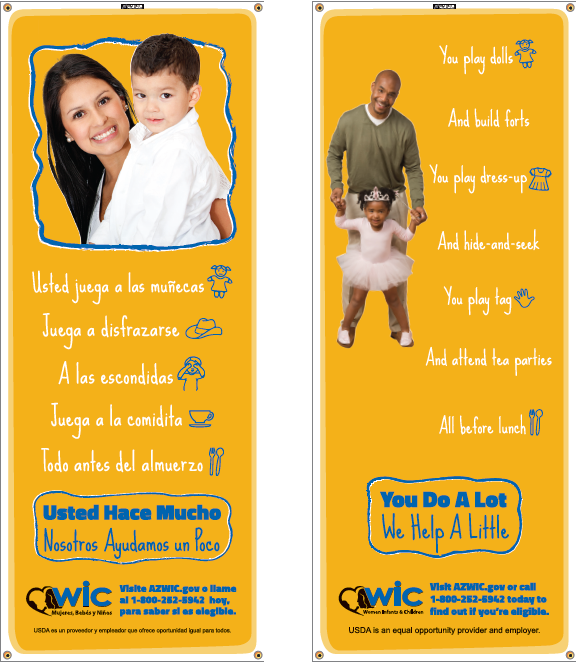 Signage was placed at bottleneck points in each store to inform parents of WIC discounts that are available in each store. The creative directed people to call or visit the AZWIC.gov website to find out if they qualify for the discounts that are meant to help low income families offset the cost of living.